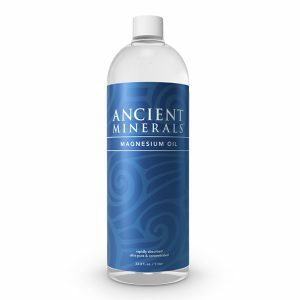 Is Ancient Minerals topical magnesium beneficial for detoxification? Magnesium is not only beneficial, but also essential! The body utilizes alkaline minerals such as magnesium to process cellular debris and counteract elevated uric acid production when combating a detox reaction. In addition, if there is not an adequate amount of magnesium for combating the detox reaction, it will remove the magnesium from the bones and body for this purpose. Studies have shown that magnesium is one of the most commonly deficient nutrients in the chemically toxic individual. People who tend to retain chemical and heavy metal toxins were observed to excrete a high amount of magnesium in their urine, and have problems maintaining adequate magnesium levels. 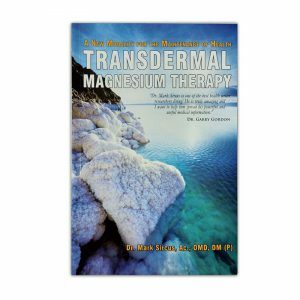 Most importantly, magnesium shields our cells from heavy metals such as aluminum, mercury, lead, cadmium, beryllium and nickel, which explains why we so desperately need magnesium for heavy metal detoxification. Magnesium, for the most part, is indispensable for the survival of our cells, but takes on additional significance in the age of toxicity where our systems are overrun on a daily basis with heavy metals. There is escalating evidence that low levels of magnesium plays a role in the deposition of heavy metals that may have accumulated in brain tissue. In fact, the cause and solution of numerous physical maladies can be as easy as correcting a magnesium deficiency. In addition, many of the difficulties with mercury chelation can be reduced when the subject is administered sufficient magnesium. Most information associated with chelation will tell you that chelating wastes minerals. Yet very little investigation has been done into the critical mineral whose loss cannot be tolerated without unacceptable risk. Magnesium is vital for phase one detoxification and, along with other minerals such as zinc, dislodges toxic heavy metals from the body. The bottom line is that magnesium is a fundamental factor in the natural self-cleansing and detoxification responses of the body. According to Doctor Frederica P. Perera, Professor of Environmental Health Sciences and Director of the Columbia Center for Children’s Environmental Health, there is a 500-fold difference in the ability of each person to detoxify the same exact toxin. One of the main indicators is each individual’s level of magnesium. For these reasons, the use of Ancient Minerals magnesium oil, magnesium gel, magnesium lotion, and magnesium flakes, provides the user with a foundational support system for safe and efficient detox. What the expert say about Magnesium?